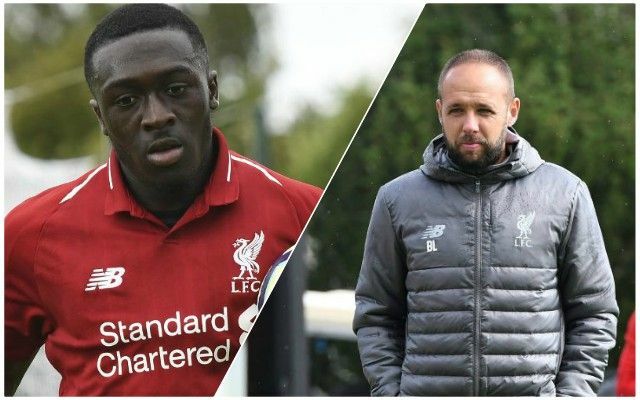 The Red’s under-19s played in the UEFA Youth League earlier this afternoon – and were robbed by one of the worst refereeing decisions you’re ever likely to see. Bobby Adekanye had put Barry Lewtas’ side in front before referee Marius Avram – of Romania – had a few moments of madness. Seconds from the end of the game, the referee allowed Napoli to score despite there being two balls on the field on play, causing confusion, with the ball ultimately going into the net. Those in Red were left dismayed at the referee’s lack of a whistle as he simply allowed the game to go on. The whole game was played with Napoli’s youth side making it a physical battle, but to go from an ill-tempered game to nothing short of a farce near the end saw the Reds robbed of two points in their battle to progress. Alex Inglethorpe, LFC’s Academy director, and manager Lewtas were unhappy with the referee at the end of the game, but nothing will change the result now. We can only hope that referee Victor Kassai, who will take charge of the senior fixture against Napoli, will prove to be a better official in what will be a difficult atmosphere.